Karikari are a species of brown rodent-like creatures in Donkey Kong Jungle Beat. They generally live in packs varying in number, and latch on to Donkey Kong. Unless something is done, Donkey Kong will not be able to move until the creatures are knocked off him. By using the Sound Wave Attack, these creatures turn blue and are immobilized. Donkey Kong can then simply defeat the Karikari, who will each release a Banana. 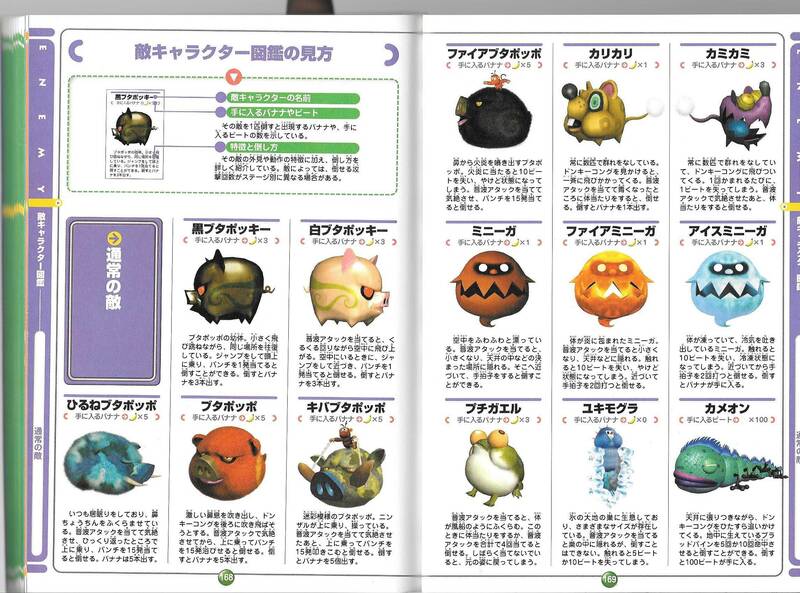 These creatures appear in several levels throughout the game. In New Play Control! Donkey Kong Jungle Beat, Karikari completely replace Kamikami. The Sound Wave Attack can now also immediately dispose of Karikari. This page was last edited on April 13, 2019, at 16:48.